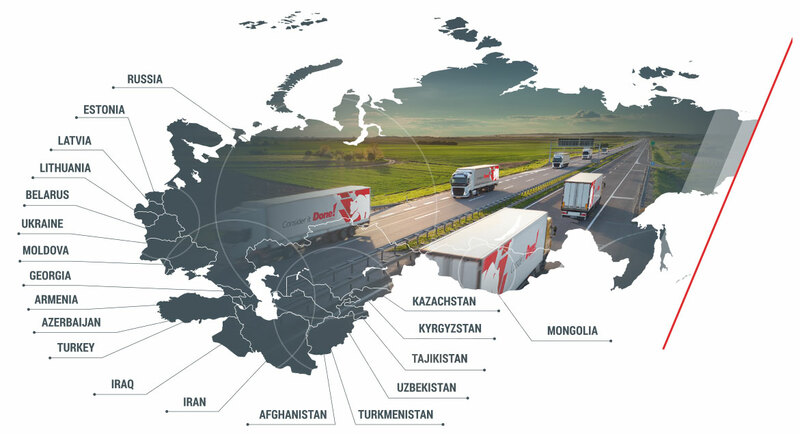 Uzbekistan, Kazakhstan, Tajikistan, Turkmenistan, Kyrgyzstan, Afghanistan, Azerbaijan, Armenia, Georgia, Lithuania, Latvia, Estonia, Moldova, Russia, Belarus, Ukraine, Iraq, Iran, Turkey and Mongolia. We are a full service company, so we can advise you about the best way to transport your cargo, whatever it is - from food to hazardous materials. Moreover we guide you how to balance the shipping cost with the shipping requirements. Our team is ready to assist you with any shipment anywhere!